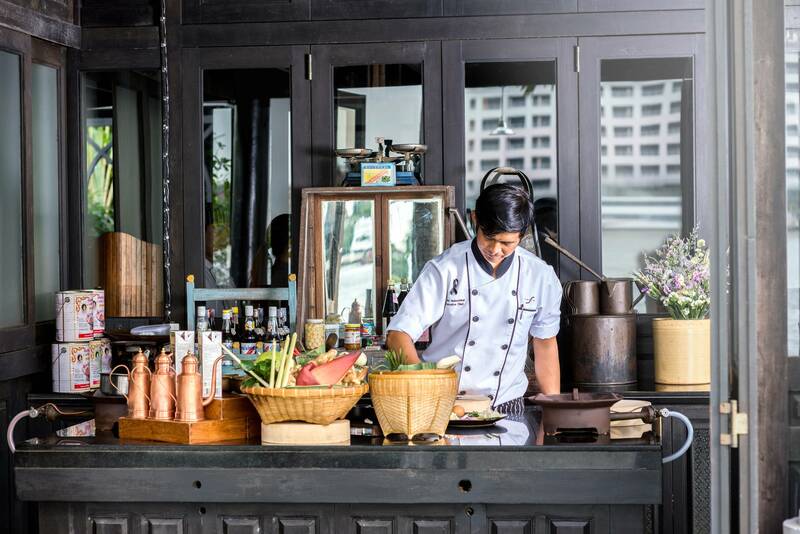 The Siam Cooking School unravels the mystery behind Thai cuisine. Do a quick poll and you will find that Thai cuisine is arguably the most popular in the world. With dishes that often marry three to five fundamental tastes at once (sour, sweet, salty, bitter, and spicy), it is no wonder that there’s always a Thai dish for everyone no matter what their preference. It is often said that Thai cooking rejects simplicity and seeks to find harmony between components and create a complex singular epicurean finish. 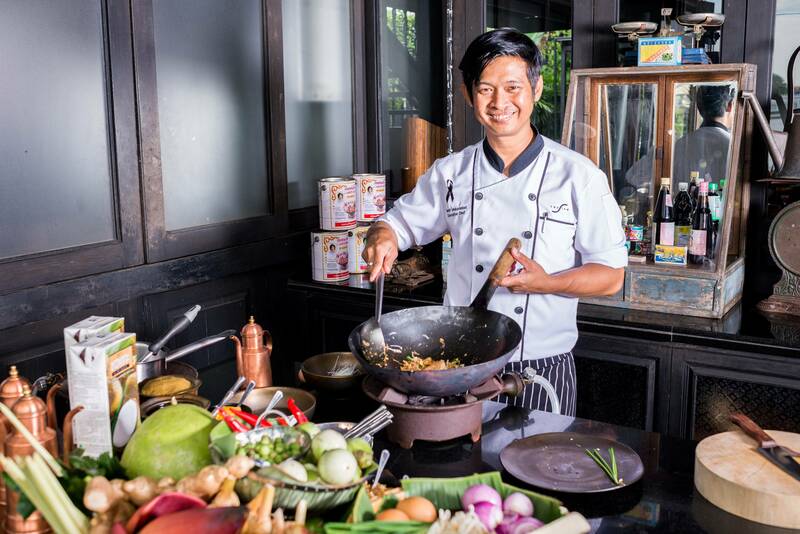 If you have ever wondered how Thai dishes come about and would like to go beyond simply consuming them, The Siam Cooking School can help demystify that thought. Your journey will begin with an optional local market tour by Tuk Tuk to see and pick out the ingredients. You will travel into Bangkok Old Town to one of its local markets and get your senses lost in the bustling setting. Fresh vegetables, seafood, fruits, and more will provide aromas to pique your imagination. 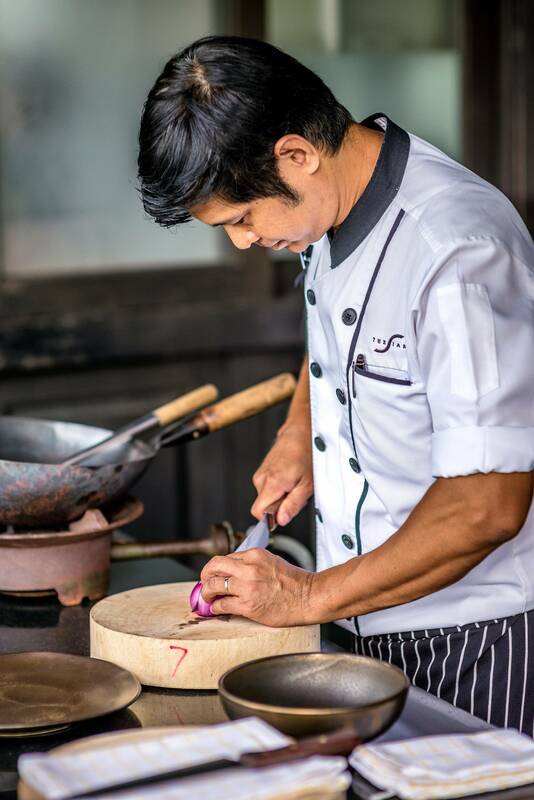 Back at the hotel, an Executive Chef will be ready to unravel the process of Thai cooking end-to-end. 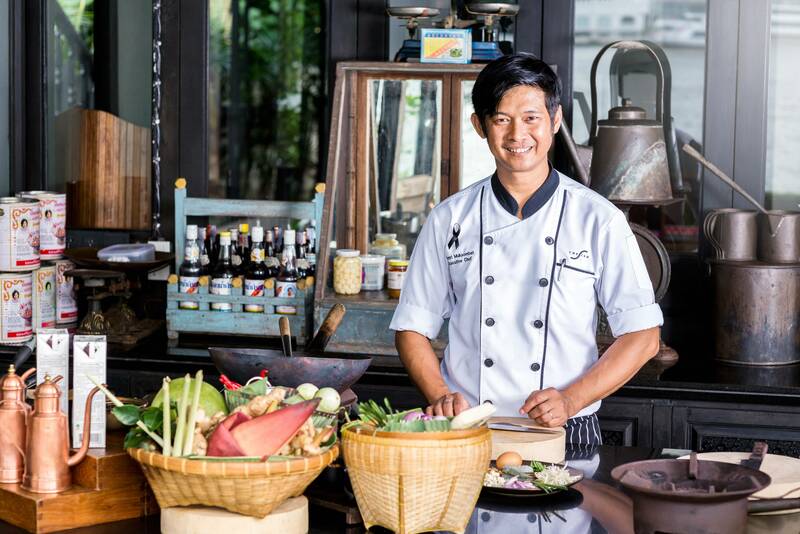 The Siam Cooking School is an intimate experience in culinary learning. Classes take place under Jim Thompson’s Thai house with a full river vista. Each class has only two cooking stations, meaning you will have at least half of the Executive Chef’s attention at all times. Enjoy the step-by-step guidance while sipping a cool drink and watching boats go by. 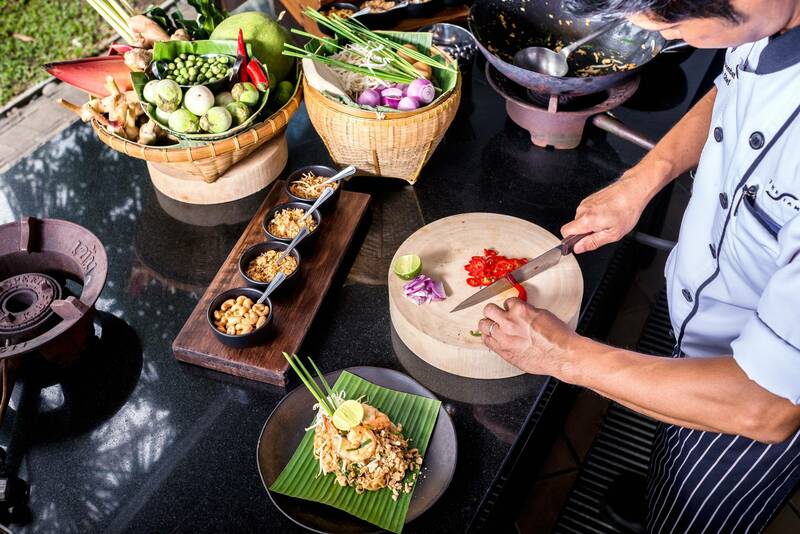 At the end, relish your Thai cuisine creation with new knowledge on how to do it on your own.